Please call owner Shane at 360-529-2930. Boat is in Graham, Washington. Great boat, less than 30 hours, selling due to family situation. Any questions can be answered. 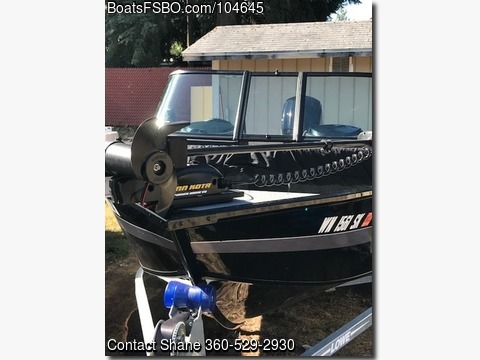 Includes Lowrance Depth/Fishfinder, Full Gauges, Minnkota Trolling Motor barely used, Bimini Top, Winter Cover, Rod Storage, 2 Live Baitwells, Bilge Pump, Coast Guard Safety Package, Anchor, Dual Batteries w/Switch, Matching Tandem Axle Trailer, Original Owner, Always Fresh Water and Professionally Maintained.